Indian cuisine is my favourite food so when I went to the "Princess of India" restaurant in Perth's northern suburb of Whitford is now CLOSED. (the Indian restaurant at the Whitford shopping centre) my mouth started watering at the top of the escalator as soon as we smelled that wonderful spicy Indian food cooking. We were warmly greeted by a real Indian lady and given an option of traditional low cushion seating. 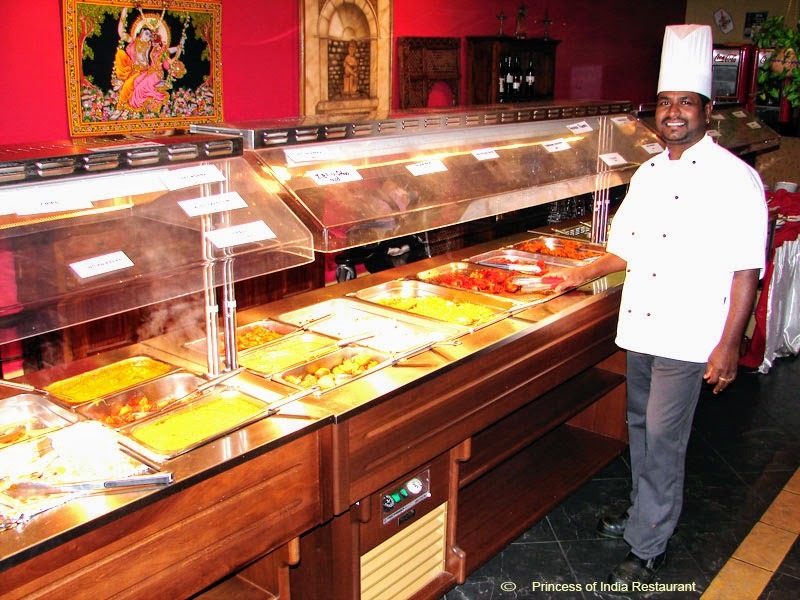 The Princess of India is a spacious, comfortable Indian restaurant in Perth. I ordered lamb vindaloos with nun bread. It was Indian cuisine in Perth at it's best. I like hot spicy Indian food but when ordering from the Indian food menu there is a "mild Indian food" option. One of our Indian food lovers is a vegan (strict vegetarian). She enjoyed the flavours of some of Perth's best vegetarian food. I liked the taste of the complementary yogurt sauce scooped out with the complementary poppadoms. For the four of us, it worked out at a very reasonable price of $30 per person. Sunday, all you can eat buffet lunch is $19 per person with a little extra for the genuine Indian food chef doing optional pancakes in the courtyard just outside the restaurant. Indian buffet dinner is $25 pp. 9307 8886 for telephone reservations or Indian take away food orders at this good Indian restaurant in Perth. I'm not the only food critic so I invite your thoughts about good Indian restaurants in Perth.